Now until supplies last, customers can save over 30% off on Techspray 1610-100DSP pre-saturated, isopropyl (99.8%) alcohol wipes. This product comes in a pop-up dispenser and contains 100 wipes. 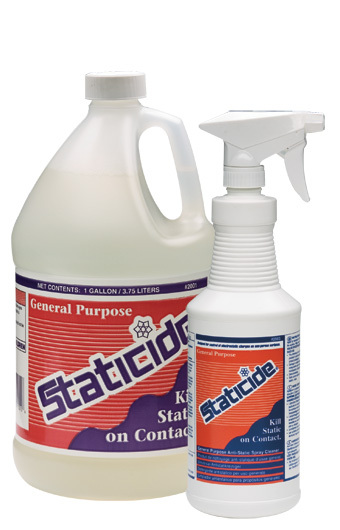 The benefit of 99% pure anhydrous isopropyl alcohol is that it contains the least water possible and no de-naturant. Cheap alcohols contain much more water, which slow drying time and can cause oxidation, while de-naturated alcohols leave residues. 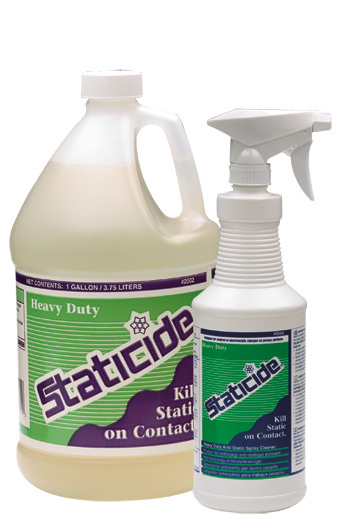 Because these wipes are pure, they are excellent for tape head cleaning, de-fluxing, stencil cleaning, and other light cleaning. Techspray 1610-100DSP is also useful as a flux cleaner. At Janel, we believe in selling the highest quality products on the market, it is for this reason we sell Techspray products. Buy now, and save over 30% off. Offer valid while supplies last and cannot be combined with any other offer. Discount price has already been applied to the item price. What can you expect from top quality soldering stations like the JBC Tools range? 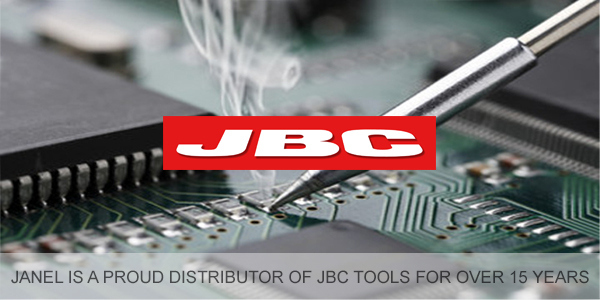 Among the solder industry, JBC Tools is known to manufacture the leading, high-technology stations. JBC Stations will reach 662 degrees Fahrenheit (350 degrees Celcius) in only two seconds. JBC soldering stations work with the JBC exclusive heating system, which recovers tip temperature extremely quickly. This in turn, increases work efficiency and allows the user to work with lower temperatures. Additionally, stations feature a useful sleep and hibernation mode which drop the temperature when the tool is not in use. This feature is not only useful, but also resourceful as the soldering tip life will last up to 5 times longer. Depending upon the application you require, users can choose from over 400 models of cartridges. Each cartridge varies in shape and size; which ensures an efficient temperature control and performance. Speaking of cartridges, JBC Tools stations feature a "quick extractor" which allows the operator to change cartridges more efficiently and safely. Users love this feature because it saves them time and increases productivity. The station is designed to suit the operators work position and the anti-splash membrane prevents solar particles on the work area, keeping in clean. Finally, the JBC system allows you to configure and manage your stations remotely. On a computer desktop, users can update the stations software, create graphs of the soldering process, and manage your monitor to a maximum of 20 personalized parameters. But What's the Difference Between JBC Tools Compact Soldering Stations? The JBC Compact Line features six soldering stations all of which are designed to work with one handpiece. The Compact Line includes three soldering stations: the JBC CD-1SE, CD-1BE and CA-1E. As well as three rework stations: JBC CP-1E, CV-1E, and CS-9E. But please note, these numbers are constantly changing, so it's important to check back often, as our team at Janel is continually doing our best to update our JBC customers of the latest changes and improvements to the JBC brand. The CD-S is a soldering station for precision electronic applications. It works with the lightest and most ergonomic soldering iron, the T210 (which uses all T210 cartridges). Additionally, users can connect any T245 hand piece to the C245 cartridge range. The CD-B is a soldering station with the JBC advanced system for general electronic applications. The JBC CD-1BE works with the T245 soldering handpiece (which uses all T245 soldering cartridges). Additionally, users can connect any T210 handpiece with the C210 cartridge range. The CA-1E is a soldering station for intensive jobs which require you to have a free hand. The CA works with the comfortable, AP250-A, solder feed iron handpiece (which uses all C250 cartridges). The CP-1E is a soldering and desoldering station for small and medium SMD components. The CP compact line soldering station works with the PA120 microtweezers (which uses all C210 cartridges). The CV-1E is a micro-desoldering station using compressed air for precision electronic applications. The CV micro-desoldering station works with the MV-A pneumatic pump, the D360 microdesoldering iron (which uses all C360 cartridges). The CS-9E is a desoldering station with an electric pump and JBC Advanced system for precision electronic applications. The CS soldering station is equipped with the MS-A electric pump and works with the DS360 micro-desoldering iron (which uses all 360 cartridges). Should you need any further assistance about any JBC Tools Compact Line soldering station, feel free to contact us. Alternatively, you can ask about our free JBC 30 day trial; and see the advantages of top quality soldering with JBC equipment. Many of our customers have asked us what is Crescent Tools Warranty? What is the Answer? Founded in 1907 in Jamestown, New York, by Karl Peterson. In 1908, Crescent engineering group developed the first adjustable wrench in America. Today the brand falls under the umbrella of Apex Tool Group (or Apex Tools). Apex Tools is one of the biggest hand tool manufacturers across the globe. "With over 100 years of performance, quality, and innovation, Crescent is committed to hold true to the fundamentals that have made Crescent one of the most trusted names in hand tools worldwide. 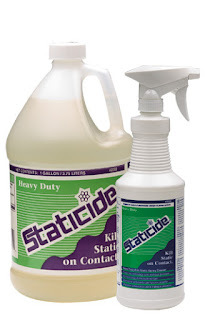 The company is constantly committed to consistently delivering products that exceed customer expectations for quality, durability, performance, and value." For this reason, that Crescent Hand Tools are warranted for life. Did we just say for life?!?! Yes, that's right. Crescent Tools should be free of defects in material and workmanship. However, this excludes some products such as the carrying cases and pouches, etc. 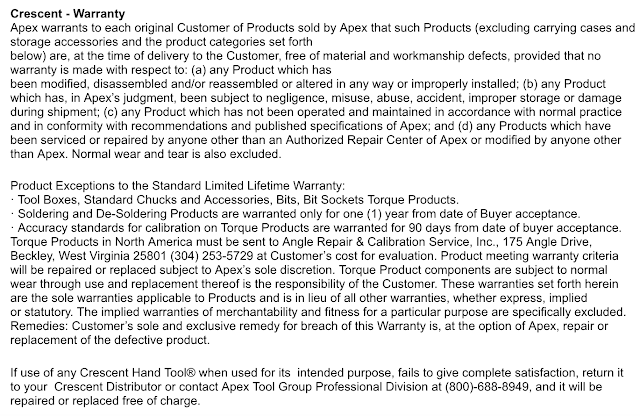 For complete knowledge in understanding the warranty please see the complete warranty description below. Janel Online is proud to be an authorized distributor of one of the world's most global hand tools line: Crescent Tools. In the 1970's ASG's parent company Jergens, Inc. introduced the American assembly market to torque control screwdrivers; when ASG became the only North American distributor for Japanese manufacturer HIOS (Innovative Technology for Turning the World). 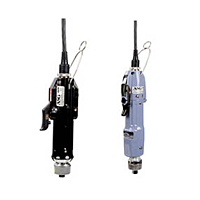 HIOS product line includes high quality torque control screwdrivers and digital torque meters. Today, Janel is one of ASG's premiere distributors in North America, and as our online store as a vehicle we distribute the large selection of HIOS brand high quality torque control screwdrivers, bits, and torque testers in the Assembly Product Group. HIOS is the global leader in the design and manufacture of electric torque control screwdrivers and torque meters for the assembly industry. From the development of the HIOS M series (which was known as the first electric screwdriver developed for the industry - HIOS has been on the cutting edge of technology and the development of electric torque tools and accessories in the assembly industry. There are many varieties of HIOS Premium Electric Screwdrivers. At Janel we constantly strive to provide you with the best information of the products on the market. For this reason, we have outlined key features of several HIOS premium electric screwdrivers below. To shop any ASG Jergens Inc. HIOS Screwdrivers, visit Janel Online's ASG Jergens Tooling Page today. On August 1st, Janel received notice of a change to the packaging quantities of Kester EM828 Solder Paste in cartridges to 500 grams. Traditionally, cartridges have contained 600 grams of material. However, for this particular water soluble paste, the volume of 600 grams is near capacity of the cartridge. In some cases, this has caused issues with the plunger and cap replacement. Both Kester Solder and Janel, Inc. | Janel Online continually strive to maintain the delivery of quality items to our customers and to improve upon our efforts, Kester has decided to change the cartridge quantity to 500 grams of material. To minimize disruption to our customer base, the quantity in the cartridge is the only change. The EM828 raw materials, manufacturing process, and cartridge remain the same. Below we have provided the summary of changes of the part numbers, which will be implemented to avoid confusion in the future. Please note, during this change, the price per gram of material will remain the same. However, one box will not contain 5kg and one carton will now be 20 kg. The change will be implemented by Kester on October 1, 2016; when the old part numbers will no longer be available. For the replacement part numbers, please see the information provided below. Please note: Janel, Inc. | Janel Online will add these new part numbers to our site the week of September 26, 2016. Should you have any questions or concerns regarding this change Kester Solder has implemented regarding their EM828 Solder Paste, please do not hesitate to contact Janel directly. Alternatively, you can shop the complete Kester Solder Paste product offering, here. Janel, Inc. is proud to be the largest woman-owned, single stocking distributor of Kester Solder Materials.